If you had to guess how much liquid is in a spoonful of soup, what would you say? A teaspoon? Tablespoon? Well, when I eat this Thai Curry Beef Stew, I ask myself, how can so much flavor be contained in one little spoonful. 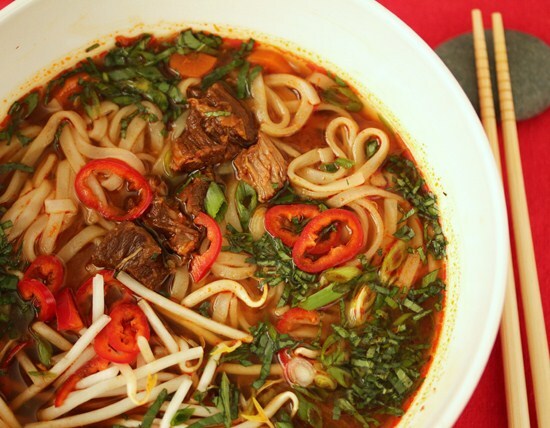 How can there be such depth and complexity in that small amount of red brown elixir that accompanies the beef, carrots and noodles of each bite. I’m telling you, this dish will send you to Thai food heaven. The curry paste for this stew contains just about every great Thai flavoring ingredient, including lemongrass, galangal, turmeric, shallots and garlic. Also, guajillo chiles and the big flavor item: shrimp paste. I happened to have a paper-wrapped block of Malaysian belacan that I used, but I have also made it with jarred shrimp sauce and shrimp paste. If you have never cooked with shrimp paste, this recipe is a great first time to dip your toe in the water. 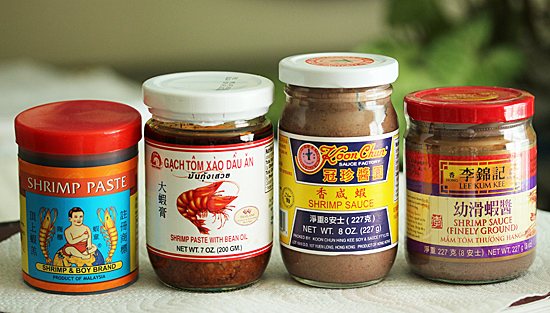 Here are four little jars of different shrimp sauce and paste, from different countries. I got several at my local Asian markets to try, because the cost is small and they last forever. So far, I have made this recipe with the Koon Chun brand and it was marvelous. 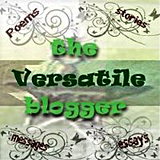 If you really want more in-depth information, check out this Wikipedia article. 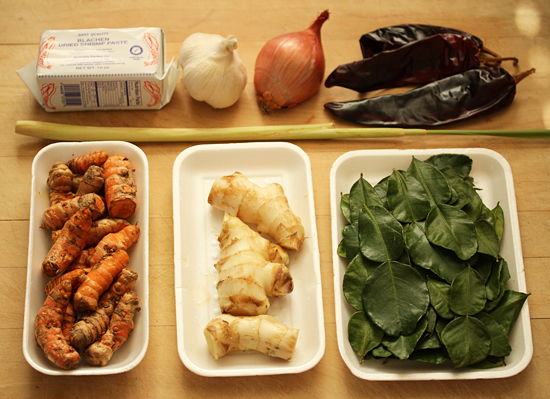 The curry paste is made with a Thai granite mortar and pestle. You can really pound with this heavy duty tool. The recipe calls for pounding each ingredient to a paste, one at a time, before adding the next. Thus, the chiles and lemongrass are pounded a lot by the time you get to the shallots, making a really creamy concoction. If you don’t have the granite mortar, you could use your mini processor, but the texture will turn out differently. That brilliant orangey-red color comes from the fresh turmeric and guajillo chiles. Really astounding. So, don’t wait. Make this Thai Curry Beef Stew and be prepared to have your socks knocked right off! 1. 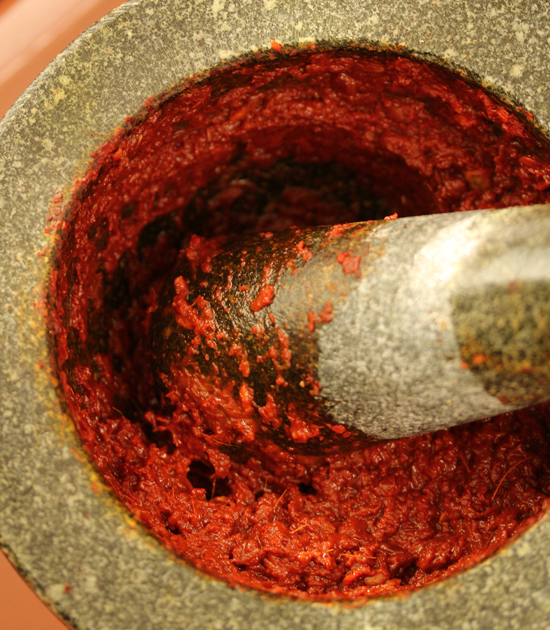 Make the curry paste: In a granite mortar, pound guajillo chiles and salt with granite pestle to small flakes. Add subsequent ingredients in order listed, fully pounding each into a paste before adding the next. This should take about 15 minutes total. 2. In a large heavy pot or Dutch oven, stir beef, curry paste and soy sauce to evenly coat meat. Cook over medium heat for about 5 minutes, stirring occasionally. 4. Stir in shallots, carrots and lime leaves. Simmer about 10 minutes until vegetables are tender. 5. 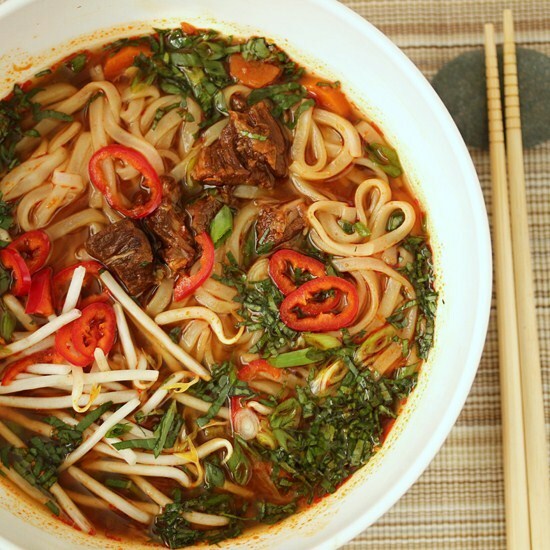 Serve in shallow soup bowls, with rice noodles if desired, garnished with bean sprouts, sliced green onions, cilantro, basil and sliced Thai red peppers, if using. Note: Curry paste can be made 1 week in advance. Cover and chill. 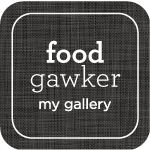 Oh my, but this does sound tasty. I just love Thai food – it is so well flavored, so full of life. Thanks! I recently spotted fresh turmeric at my local farmer’s market and was looking for a way to use it. This looks like the perfect application. Thanks for another great recipe. I’ve never cooked with shrimp paste, but I ‘m ready to head to the Asian market so I can make this fabulous looking stew! I hope they have Kaffir lime leaves, too. Great recipe, Lynne!